 With our collection of state- and nationally-recognized builders, finding a move-in ready home at Vintage Oaks is a breeze. All of our homes are furnished with state-of-the-art appliances and finishings so that you can live and relax in style. Take a look at some of our favorite homes below. New Monticello Home - Ready For Move-In April/May 2018. CORNER LOT. EXTENDED COVERED PATIO 20X15. PROPAINE GAS COOKTOP. PROPAINE COOKTOP AND PROPAINE TO COVERED PATIO. TOUNGE AND GROVE WOOD CEILING AT ENTRY AND COVERED PATIO. BAY WINDOW IN MASTER. FRENCH GLASS DOOOR TO STUDY. UPGRADE FLOORING, ALSO BACKSPLASH. STUCCO AND ROCK EXTERIOR. DIRECT VENT FIREPLACE CUSTOM CEILINGS INCLUDING ROTUNDA CEILING IN ENTRY. CUSTOM CEILING TREATMNET IN DINNING AND STUDY. Mahogany front door. Library with French doors frames the entry. Formal dining room with ceramic tile floor. Kitchen features a large pantry and an island with a built-in seating space. Beautiful former model home, extremely energy efficient, on an acre cul de sac lot in the hill country of New Braunfels. Backing up to a large ranch, you will have privacy with no backyard neighbors. Beautiful lot has great flat space for building your home. Designer finishes include wood look tile floors, beautiful granite counters, custom cabinets, tile back splash, stainless built-in oven, m/w, d/w. Huge covered patios front and back. Wow! This is the perfect house for both him and her. HUGE WORKSHOP and ENORMOUS entertainers kitchen with DOUBLE Islands. This gorgeous open concept home has a huge kitchen that opens up into the window lined living room. Every detail considered to maximize the natural beauty, while providing unparalleled style, comfort and efficiency. Gorgeous custom 4 bed/3.5 bath w/office nearly 4000 sq ft on a beautiful tree covered lot. Dramatic Hill Country estate on 1.44 Acres. Coffee on your front porch + cozy nights on your covered patio brings nature indoors. From the open-concept kitchen & living space to the extended covered patio, there is plenty of room for the whole family to enjoy. Gorgeous custom builder model home features 3bed/2.5ba/3car garage & is nestled on 1acre in desirable Vintage Oaks! This remarkable home offers total luxury wrapped in a private, Hill Country setting. Spectacular views from the patio along with fireplace and outdoor kitchen. So much more see! Custom TA French home in exclusive gated Canyon Ranch in Vintage Oaks on 2.88 acres with Hill Country Canyon Views. PERRY HOMES NEW CONSTRUCTION! Double mahogany front doors. Extended entry with a 13-foot ceiling. Library with French doors and hardwood floor set at entry. New Monticello Home - HIGH CEILINGS IN FAMILY. EXTENDED PATIO 20X15. BUILT IN APPLIANCES, GRANITE IN MASTER AND KITCHEN ISLAND PROPAINE GAS TO HOME AT COOKTOP. CORNER LOT. EXTENDED COVERED PATIO 20X15. PROPAINE GAS COOKTOP. PROPAINE COOKTOP AND PROPAINE TO COVERED PATIO. Double mahogany front doors. Two-story entry and family room with a corner fireplace and a wall of windows. Library with French doors and formal dining room, both with ceramic tile floor. Entry and extended entry with 12-foot ceiling. Family room with ceramic tile floor features a wall of windows. Kitchen features an island with built-in seating space and walk-in pantry. PERRY HOMES NEW CONSTRUCTION - Double mahogany front door. Library with French doors and formal dining room set at entry. Spacious family room with ceramic tile floor features a wall of windows and a cast stone fireplace. Mahogany front door. Entry and extended entry with 13-foot coffered ceiling. Library with French doors and formal dining room frame the entry. PERRY HOMES NEW CONSTRUCTION! Mahogany front door. Extended entry with 12-foot ceiling. Family room with ceramic tile floor, 12-foot ceiling, cast stone fireplace and wall of windows. 2337 Appellation New Braunfels, Texas 78132MLS#:371998 MapProperty Panorama Virtual Tour $589,900Price Decrease Active Single Family$158.83per SqFt4Beds171x300Lot Dimension3Baths 1 / 17 PERRY HOMES NEW CONSTRUCTION! Double mahogany front doors. Spacious one-story stucco design. Extended entry with 13-foot ceiling framed by library with French doors and dining room. New Stucco design. Extended entry with a 13-foot ceiling framed by library and dining room. Large family room features a wall of windows, cast stone fireplace and opens to the morning area.